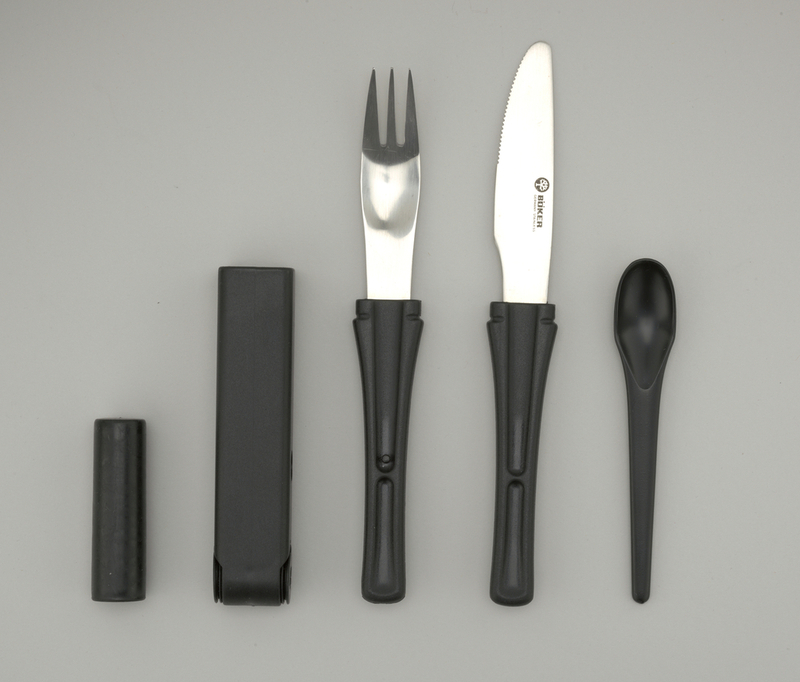 This is a Fork, knife, spoon and case. It was designed by Ernst Felix and manufactured by Heinrich Böker and Co. and distributed by ZONA ALTA PROJECTS. It is dated 1991 and we acquired it in 1992. Its medium is plastic, stainless steel. It is a part of the Product Design and Decorative Arts department. This object was donated by ZONA ALTA PROJECTS. It is credited Gift of Zona Alta Projects.